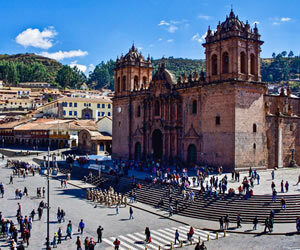 Dear travelers: Please read the following info before booking your requested tours and hike around Peru this site is operated by South Adventure Peru Tours – Cusco a legally constituted company for the Peruvian authorities and tourism bodies, which operates from office in Cusco –Peru. 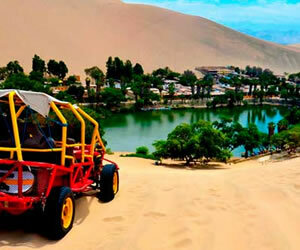 In accordance with the relevant statutory provisions referred in Peruvian Tourism law, its regulation, its decrees and other legislation applicable in Peru, these general conditions and responsibility as outlined below, which govern the provision of service on the one hand between the passenger and our travel agency and by the other hand the entities of the service providers such as airlines, hotels, restaurants, transport, guides and other tourism- related services and in connection with this contract by our company, you acknowledge and agree that you have read. 1.-Name and last name / Passaport Nro / Nationality / Age / Gender / Student or Adult / Occupation. Pricing: All prices are in US Dollars and are subject to change at any time of the year and without notice because of new Government regulations and changes. Prices are based on one person, in a double occupancy room, unless otherwise specified. Thanks to the excellent relations with our supplier Hotels, Transport companies and operators in general, are highly competitive and are valid for all 2017. When you make the final payment in cash in US Dollars notes will accept very old, broken, or glued bills neither the series (CB) of the bill $100 dollars. Bank in Peru do not accept deteriorated bills for security reasons. We recommend that you do not accept bills in this condition and you will avoid problems when you got to change to local currency (Nuevo Sol). Payments: In order to ensure reservations for hotels, flights, bus or train tickets, guides, camping equipment, biking, trekking, etc. and to cover our administration costs we require a 30% of deposit as firs payment. The final balance must be paid in Dollars or soles into our office; we accept payment by card plus the 8% which is the bank fee on top of the remainder balance of payment. Important note: When you make the final payment in cash in US Dollars, We do not accept broken or glued bills neither the series (CB) of the bill $100 dollars. Bank in Peru do not accept deteriorated bills for security reasons. We recommended that you do not accept bills in this condition and you will avoid problems when you go to change to local currency (Nuevo Soles) rate change can be varying the day rates of the bank. Please, make sure if for any reason you do not receive our reply because maybe went to our spam, please resend us your enquiry to the following emails. However, every person is responsible for his or her own personal safety and must have their own suitable travel insurance. At all times the decision of company´s biking; trekking guide by final on all matters likely to endanger the safety and wellbeing of the group. Should the client interfere with the wellbeing of the group then the guide may order the client to leave the group without recourse to any liability is limited to the price paid for the trek. Staff of professional licensed English speaking private tour guides. Child discounts: Children under 14 years old receive a US$ 45 discount. If you are claiming a child discount you must send us scanned copy of their PASSPORTS once you book the trip and hike. 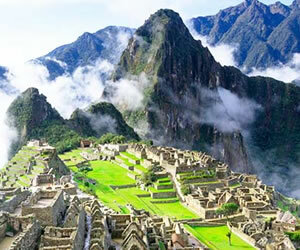 (Note: it is a rule to follow according the bookings regulations on the Inca Trail 2009). Modifications to your booking: Any modifications to the original booking must be confirmed in writing via email. Any cost or charges, which we incur or which are levied by our service providers as a result of the modification, will be charged to the passenger. Whilst every reasonable effort will be made to accommodate changes and additional requests, availability cannot be guaranteed. Cancellation police: In the event of the cancellation we need be informed in writing. Cancellation charges will be applied as shown below calculated from the day written modification is received by us. In addition to the charges shown below airlines may impose 100% cancellation charges and hotels. I.e. No refund. In the event that the client cancels their trek reservation but the rest of the group continue on the trek: No cash refund. However we will give you the entrance to Machu Picchu, train tickets, bus ticket from Machu Picchu to Aguas Calientes and your return train ticket from Aguas Calientes to Cusco and those tickets must use on your requested date (is not refundable and nontransferable) however, to go to Aguas calientes, you must buy your own train ticket and pay for the accommodation in Aguas calientes if you wish to stay there night before to visit Machu Picchu. Trek cancellations made after trek departure or at the last minute (i.e. once you have boarded the bus): No refund. In all instances of trek cancellation by the client South Adventure Peru will provide written confirmation of the cancellation and details of any payments lost so as to be used in the event of any insurance claim made by the client. Cancellations for the 4 Day and 2 Day Inca Trail: After the entrance has already been purchased, the deposit is not refundable and entrances are non-transferable. Cancellation 2 o 3 months prior of hike, you will still have to pay 90% of the total amount because we already purchase the train tickets, bus tickets, entrance and administrative expenses. Cancellation 1 month or 15 days prior you will have to pay 100% of the total amount because everything has already been purchased and organized. Cancellation if extended tour packages: cancellation within 2 or 3 months, the 30% of deposit is not refundable and non-transferable and within 1 month to 15 days prior of trip, you still have to pay 100% of the total amount because we already paid for everything at 100%. Cancellations of daily tours: cancellation within a month, the deposit will be refundable but if you cancel 15 to 20 days prior of tour, the deposit is not refundableeven if you book at the last minute and you cancel the trip for the next day, the payment of full not refundable. Cancellations of alternative hikes such as Lares valley trek, 5 Days Salkantay or another hikes: cancellation 2 or 3 months prior of hike, the deposit is not refundable and non- transferable. Cancellation 1 month or 15 days prior, you will have to pay 100% of the total amount because everything has already been purchased and organized. Force Majeure: South Adventure Peru is not responsible for force majeure – this is war, threat of war, riots, civil strife, industrial dispute, terrorist activities, natural or disaster, strikes, fire or adverse weather conditions, technical or maintenance problems with transport, changes imposed by cancellation or rescheduling of flights by an airline, the alteration of airline or aircraft type, or other similar events beyond the control of ourselves. Illness or Disability: Anyone suffering from illness or disability or undergoing treatment for any physical or medical condition must declare the true nature of such condition at the time of booking and make arrangements for the provision of any medication and/or other treatment which may be required during the tour. Failure to make such disclosure will constitute a breach of these booking conditions and result in such persons being excluded from the tour in which case all monies paid will be forfeited. Insurance: We strongly recommend the use of a travel/medical insurance plan. We do not provide or include an accident or travel insurance policy in our cost. However, if a member of the group gets sick or is incapacitated, we take care of him or her by getting a qualified doctor or immediate medical attention. In these cases, the extra costs are assumed by the individual client, including hospitalization if necessary. In the case of accident and /or necessary emergency evacuation, all costs are assumed by the individual client. Complaints: If a Passenger has a complaint about any of the tour arrangements he /she must bring it to the attention of the Guide or a representative of South Adventure Peru Tours at the time so that they may Endeavour to rectify the situation. We can only rectify problems if we are made aware of such problems. Failure to complain immediately will prejudice the Passengers right to claim compensation. Should the problem remain unsolved a complaint must be made in writing to ourselves within 7 DAYS of the completion of the holiday. Responsibilities: South Adventure Peru reserves the right to modify or withdraw any travel arrangements when deemed necessary, in the best interest of the clients. We reserve the right to refuse, accept, or retain any person as a member of one of our trips. South Adventure Peru: Is not responsible for injury, sickness, damage, loss, additional expenses, accidental delay or other irregularities which may be caused either through willful or negligent acts or omissions on the part of companies or individuals providing or engaged in transportation, accommodation or other services related to the accomplishment of the tour, or through natural disasters or acts of nature. 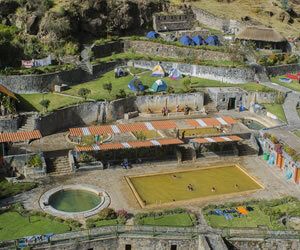 About campsites on the Inca Trail: Please note that we are not in control of the campsites we are issued with from the Institute of National Culture. In general your campsite allocations dependent on how early you book, or rather, how many permits are left? The first 250 spaces are generally given to Winay Wayna (3rd campsite) and thereafter you will have a longer walk have a longer walk to Machupicchu on the last day and could mean you do not make it for sunrise. Do not let this disappoint you as Machu Picchu is marvelous in itself Campsite are subject to change according to our guide´s criteria and the group progress. Factors outside the company’s control (force majeure): The Company will do its best to minimize the effects of matters outside its control, but cannot accept liability for these matters which include political disputes, industrial action, delayed transport and cancellations, problems attributable to third parties, unforeseeable climate, natural disasters, etc. Claims and complaints. If a client has a complaint against company the client must inform to the trek guide while on the guide to attempt to rectify the matter. 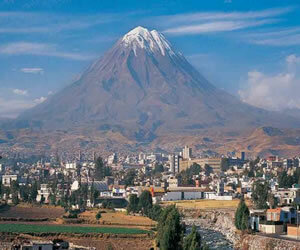 Any further complaint must be brought of the manager in our office in Cusco.